Whatever products you’ve ordered from us, you’ll enjoy a fantastic delivery service to suit you. We can get your order to you in a flash if you need it urgently. Not all of our products live under the same roof, so there are some slight differences in the way we’ll deliver your order to you. We offer delivery 7 days a week, including weekends, on all items. You can choose a delivery that suits you. We schedule deliveries from 7am right through until 7pm, and when you enter your postcode we’ll show you all the options available to you at that time. *Driver availability, terms, conditions & geographical exclusions apply. You’ll be able to see the next available date for free delivery once you’ve selected your item. On delivery day we'll send you an email and a text with an estimated three hour delivery timeslot - so you won't have to wait around all day. *Delivery to Northern Ireland and remote areas of the UK. Delivery to Northern Ireland is charged at £10 for small appliances and £15 for all other products. Please note, deliveries to Northern Ireland are not included in any delivery promotions, for example free next day delivery. Unfortunately, there are some TV, audio, computing, mobile phone, gardening and DIY products we cannot deliver to Northern Ireland. We may not be able to deliver if you're in the Scottish Highlands or in more remote parts of Scotland. For the following postcodes, delivery fees may be higher and your order won't be eligible for free delivery or other promotions: BT, GY, HS, IV21-24, IV26-27, IV40-56, IM, JE, KA27-28, KW15-17, PA20-23, PA28-31, PA34 5*, PA 34 4*, PA41-78, PA80, PH33-50, SI, TR21-25, ZE. Unfortunately, we can't deliver to you if you're located in the Channel Islands, the Isle of Man or the Republic of Ireland. We offer Next Day delivery on all products. This service is subject to driver availability, so to ensure you get the best possible service based on your postcode, after 5pm (and until midnight) we’ll stagger the cut off time for ordering. You’ll be able to see whether Next Day delivery is available to you once you enter your postcode in the checkout. This is subject to conditions and geographical exclusions. Select our Click and Collect service and have your order delivered to a store of your choice. This service is only available on small appliances and small TVs. Find out more here. Book your delivery for as soon as the day after tomorrow from just £5. Choose a weekend delivery day from just £5. If you need to know a more specific time for your delivery, you can book a timeslot. We offer 4 hour time slots from an additional £5*. *Timeslot charges subject to driver availability, terms, conditions and geographical exclusions. Please note customers need to be aged at least 16 to accept delivery. Bladed items, including chainsaws, grass trimmers, hedge trimmers, multi tools and saws, can only be purchased if you are 18 years of age or over. If you are underage please do not attempt to order or purchase these products. We complete age verification checks on orders for bladed products and our drivers, if appropriate, also check that delivery recipients are over the age 18 years old. We reserve the right not to supply any age restricted products where we reasonably believe that you are below the relevant legal age. We will always offer a free delivery option. When you order selected TV & entertainment, computing, phones, smart tech, gardening and DIY products and choose standard delivery, you'll be told the latest date that your order will be delivered. You’ll then be notified when your order has been dispatched. If the delivery date is inconvenient, you can re-book for delivery on a better day for you. The DPD Precise service lets you select a 1 hour timeslot that suits you. Once you've placed an order, you'll receive a text where you can then choose a convenient time. So, you won't have to wait in on delivery day! If you've selected Express Delivery, you'll still get your order before midday if you don't respond to the automated DPD Precise text offering you a 1 hour timeslot. However if things have changed and you won’t be in at that time, you can still use this service to pick a new delivery slot for later in the day. Please note the DPD Precise service is only available on selected products. *Deliveries of selected TV & entertainment, computing, phone, smart tech, gardening and DIY products to N.I and remote areas of the UK. We may not be able to deliver your TV & entertainment, computing, phone, smart tech, gardening and DIY product if you're in the Scottish Highlands or in more remote parts of Scotland due to courier restrictions. If we can, delivery fees may be higher and will not be eligible for delivery promotions. Unfortunately, we can only deliver selected TV & entertainment, computing, phone, smart tech, gardening and DIY products to you if you're located in Northern Ireland. We can’t deliver any TV & entertainment, computing, phone and smart tech products to the Channel Islands, the Isle of Man or the Republic of Ireland due to courier restrictions. We offer next day delivery, depending on the time you order. If you place an order on Friday before the cut off time for next day delivery, you’ll receive it on Saturday, or you can choose to receive it on Sunday. If you order on a Saturday or Sunday, you’ll receive your order on Tuesday. 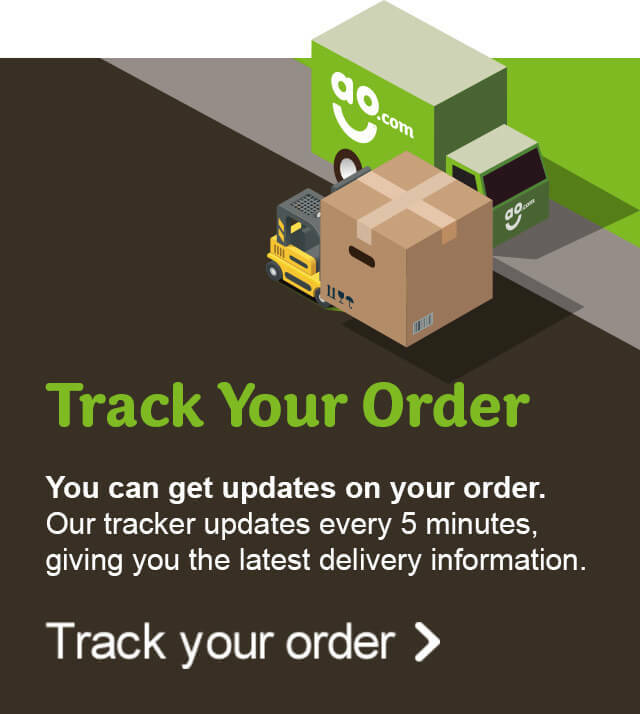 You’ll be able to see whether next day delivery is available to you once you enter your postcode in the checkout. This is subject to driver availability, conditions and geographical restrictions apply. Select our Click and Collect service and have your order delivered to a store of your choice. Find out more here. If you want your order even faster, you can choose express delivery, to ensure your item is with you before midday the next day. If you place an express delivery order on Friday before the cut off time, you’ll receive it on Saturday. If you order on a Saturday or Sunday, you’ll receive your order on Tuesday. You’ll be able to see whether express delivery is available to you once you enter your postcode when you checkout.